Monazite is the only commercially important rare earth mineral in India. India can very well progress in this field of mining. Yet it has not made any significant development, in fact the plan of buying mines abroad has also come to a standstill. The public sector company of India has not sold radioactive monazite mined in the last 10 years in Orissa. "Countries having rare earth resources are possessive regarding its free export and exploration by outsiders. Hence acquiring rare earth bearing mineral assets overseas is a challenging task and needs support of the government for materializing such acquisitions," Chairman & Managing Director RN Patra told ET. The second reason coming in the way of flourishing the rare earth industry in India is that it is not a part of the non- proliferation treaty, which makes it harder for access in the global rare earth’s industry. "India is depending on China for import. This is not a happy situation. Imports are costly as the supply of rare earth minerals is limited elsewhere. China is using exports of rare earth minerals as a geopolitical tool," said Brahma Chellaney, professor of Strategic Studies at the Centre for Policy Research. IREL has seen profits tumbling in the last ten years. The profit earned in the year 2013 was half of what it was in the year 2008. Which clearly shows how misguided the industry is. Other industries related rare earth mining is the heavy mineral mining industry. The key players are VV Mineral in Tamil Nadu owned by S. Vaikundarajan. 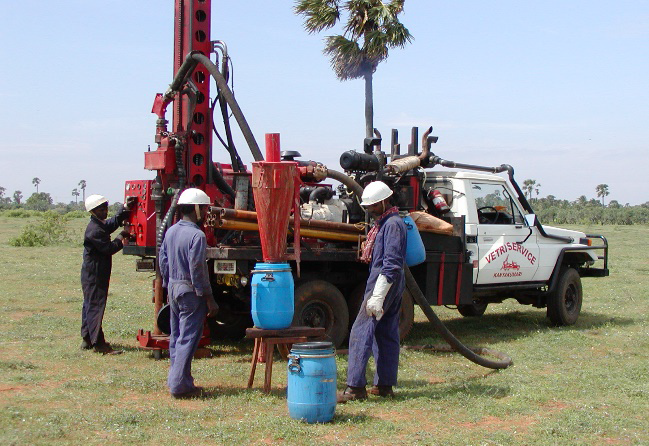 They mainly deal with Zircon mining, Rutile mining, Garnet mining and Ilmenite mining.